Educational Leadership:Poverty and Learning:The Myth of the Culture of Poverty. School reform has been a top priority for governors and other state policymakers since the mid-1980s. This movement has enjoyed many successes, but significant challenges remain. In this policy primer, the National Governors Association Center for Best Practices explores a key education-policy challenge facing states today: the achievement gap. We discuss the history and nature of this problem, state efforts to close this gap, possible state-level strategies and solutions, and pitfalls for policymakers to avoid. 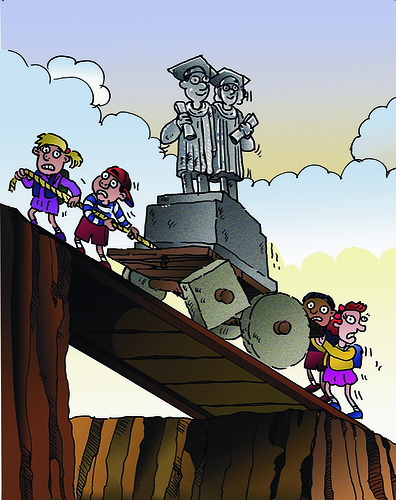 The “achievement gap” is a matter of race and class. Across the U.S., a gap in academic achievement persists between minority and disadvantaged students and their white counterparts. This is one of the most pressing education-policy challenges that states currently face. Within a school, if any student subgroup persistently fails to meet performance targets, districts must provide public school choice and supplemental services to those students – and eventually restructure the school’s governance. This is required even if the school performs well overall. In other words, schools now are considered successful only if they close the achievement gap. Many schools are struggling to meet this benchmark. There are several ways to measure the achievement gap. One common method is to compare academic performance among African-American, Hispanic, and white students on standardized assessments. Data from the National Assessment of Educational Progress (NAEP) shows that reading scores for 17-year-olds narrowed dramatically for both African-American and Hispanic students from 1975 through 1988. From 1990 to 1999, however, these gaps either remained constant or grew slightly in both reading and mathematics. Another way to measure the achievement gap is to compare the highest level of educational attainment for various groups. Here too there are gaps at all levels. Hispanic and African-American high school students are more likely to drop out of high school in every state. Of these high school graduates, college matriculation rates for African-American and Hispanic high-school students remain below those of white high-school graduates – although they have risen in recent years. Furthermore, of those students enrolling in college, Hispanic and black young adults are only half as likely to earn a college degree as white students. Texas: Here, NAEP writing scores for eighth-grade African-Americans are equal to or higher than the writing scores of white students in seven states. Virginia: This state boasts one of the nation’s smallest achievement gaps between whites and Hispanics. Here, eighth-grade Hispanic students had the highest NAEP writing scores for Hispanic students in any state. Department of Defense (DOD) schools: Despite high mobility, minority students in DOD schools do better on NAEP than their counterparts, yielding a smaller achievement gap. Fourth-grade white students in DOD schools outscored their African-American counterparts by an average of 17 points on the NAEP reading test – a considerably smaller gap than the national average of 32 points. Texas: This state’s accountability system requires schools to show each year a minimum proficiency level (percent proficient) in each student subgroup. In the five years since this legislation was enacted, the percentage of African-American students passing statewide exams rose by 31%, and the percentage of Hispanic students passing the exam rose by 29%. Meanwhile, the percentage of white students passing the exam grew by only 18%. This means the achievement gap in Texas closed by 13% and 11% for African-American and Hispanic students, respectively. North Carolina: Governor Michael Easley has appointed an Education First task force to examine best practices from high-performing schools, in order to learn how to close the achievement gap. 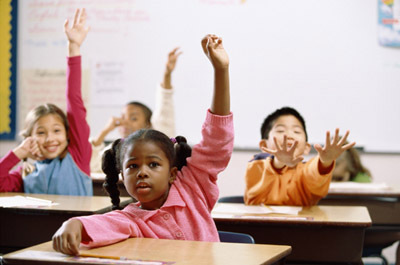 The goal of state education leaders is to eliminate the achievement gap by 2010. Missouri: Here too, a state task force on K-16 issues released a report early in 2002 which concluded that improving teacher quality is the single most important factor in eliminating the achievement gap. The report recommends raising teacher quality through increased accountability, better understanding of urban issues, and financial incentives for teachers in low-performing schools. In addition to such comprehensive strategies, states also can take many steps within their current policies to reduce persistent gaps in student academic achievement.